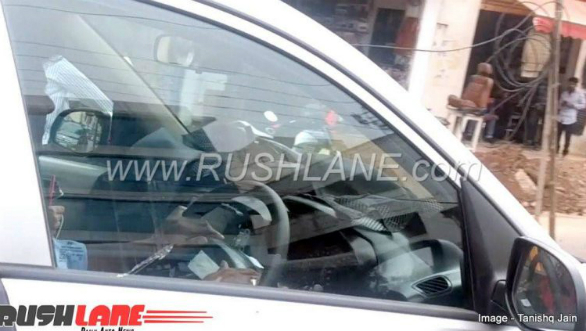 The new-generation Hyundai Santro codenamed the Hyundai Atos/AH2 has been spotted testing once again. Reports suggest that the entry-level hatchback is expected to launch before October, in time for Hyundai's 20th anniversary in India. 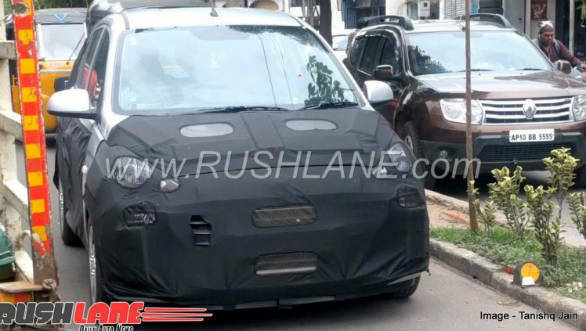 While there is no official confirmation yet, we expect the new Hyundai Santro to be powered by an 800cc petrol engines, pretty much the norm in the segment. Hyundai is expected to offer automatic/AMT versions as well, given the increasing popularity of automatics. We expect the new Hyundai Santro to be priced in the 2.5 lakh to 4.5 lakh rupee price bracket. Given Hyundai's penchant for offering features, we also expect the new Hyundai Santro to come loaded with equipment like airbags, ABS and a touchscreen infotainment system. 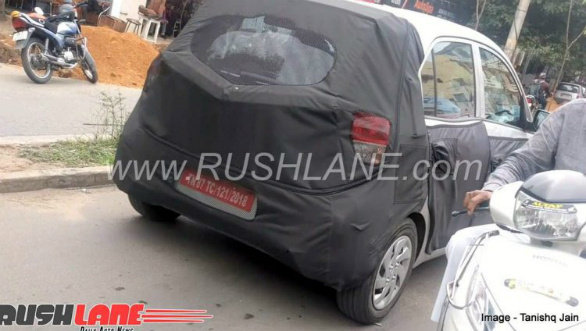 The images of the test car, which is camouflaged as expected, do not reveal much about the design but do tell us Hyundai will go with the Santro's characteristic 'tallboy' design once again, with the windows get large glass panels and the rear window and C-pillar even looking slightly similar to the now discontinued Hyundai i10's. Pictures also reveal that the car is running wheel caps on steel rims and not alloy wheels, which confirm the 'low cost' idea. The car will sit between the Eon and Grand i10 in the company's line-up and will carry a similar design language with strong lines, LED DRLs and the full-face grille seen on the facelifted Grand i10. The B-segment has seen Maruti lose its dominance over it with the Renault Kwid being successful which has made the segment open up to new players. But while Hyundai has strong products in other price points, it's B-segment challenger, the Eon, hasn't been competitive enough. Hyundai will be hoping this new car gives it a better shot.